The Concordia Student Union unanimously agreed on a motion to sign a $97,000 contract with MHPM Project Managers Inc. for their services in planning and preparing for a new student centre during a regular council meeting Wednesday. The contract would also allow MHPM to aid the CSU in negotiating with the university should there be another round of student centre contract negotiations in the future. Nadine Atallah, VP clubs and internal affairs, said that hiring MHPM was an important step in the long-term plan for the student centre. 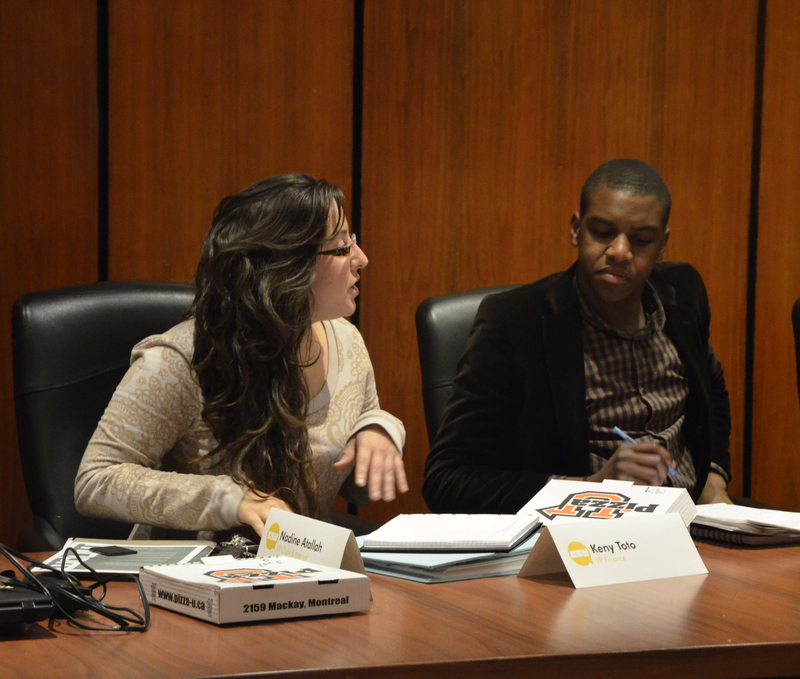 Two representatives from MHPM were present at the CSU meeting to explain their proposal and to answer any questions. Council had very few questions upon the conclusion of the presentation, but Atallah told The Concordian that council members received the proposal weeks in advance and many had already had their questions answered by her. Council voted unanimously to accept the motion, but after the representatives left, councillor Ramy Khoriaty raised concerns about what had specifically been voted on. “Is this a proposal or a contract?” Khoriaty asked. After being informed that council had agreed to a contract, not simply a proposal, Khoriaty asked if the contract had been reviewed by a lawyer. Council then reconsidered and amended the motion to have a lawyer review the contract before its approval. The student centre, which has been an issue for students and the CSU for nearly a decade, would provide free space for students and clubs near the downtown campus. An account set up for student space has amassed more than nine million dollars to date, according to VP finance, Keny Toto, mostly from fee levies and interest accrued over the years. Alex Callard, a second-year communications student, said he was cautiously optimistic when he heard of the agreement. Justin Banks, a second-year marketing student, said that he had been hearing about the student centre for as long as he’s been at Concordia, but is still wary about paying a project management firm so much for their services. According to Atallah, once the contract has been signed, a financial feasibility study will be conducted followed by the creation of a project implementation plan.